Though my recent travels were productive and heart warming filled with both learning and family time- I am always grateful to return home! The time spent with my Simple Equine Teaching family is always special and I never leave without learning new layers – most of the time about myself. If I could explain what this method of understanding horses has done for me in a nutshell I might say that it has taught me that in order to be successful with horses one must be willing to dig in… in ourselves first. Horses seem to be a unique creature on the planet that can show us ourselves – if we are willing to see– yet have a depth of kindness and grace that continue to give us humans opportunities to grow. Friends who ask what I was doing at the seminar without my horse are surprised to hear I could spend two long (working through lunch) days classroom style – going over information I’ve already gone through on virtual classrooms- and yet say it was well worth the 12 hour drive and time spent away. I suppose this is true with everything we do. There are things in my life I’m not willing to invest 100% into because it’s not so important to me. I have seen though what it can look like to make changes from the inside out. 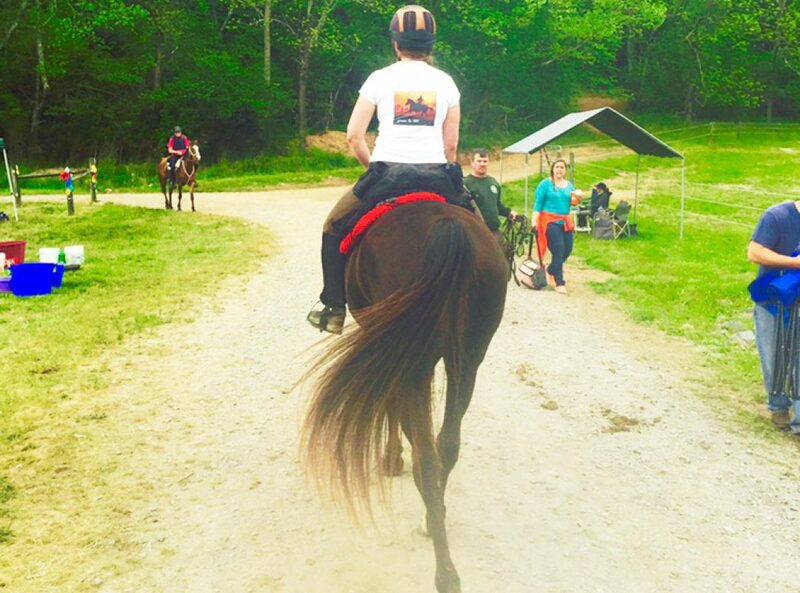 It has been transformational for me in much larger ways than with my horses. It’s changed the way I view the entire world around me and I hope for the better. And I am only scratching the surface still! As thanksgiving has just come around again and I spent some time right after the seminar with people I love – I am reminded how deeply grateful I am for…. love. The love that transforms us. The power of healing. The grace that gives second… and third and more chances to get it right. The unique role horses were given to help humans in so many ways I’m just learning about. I realize I’m only at the tip of the iceberg when it comes to what is possible. This is exciting. The layers I’m going through today are still close to the surface. That used to bother me- I’d try to rush through because I know I have far to go. Then I would see how that (for me) was exactly the point. Now I am content with where I am knowing I will continue the journey with open eyes and will learn all I can with each layer I travel through. When I returned to my herd yesterday I enjoyed seeing the mares and the conversations with each one were better because I didn’t care if we ever got into the barn. With Khaleesi- I waited and watched. She knew I came for her. At one point she began to walk off and I experimented with a very soft click. She stopped dead in her tracks and flicked an ear to me. I waited. I experimented with my energy. She asked if she could get a drink first and I said of course. Then she showed me something half way across the field with the electric fence I had already planned to pick up. After that put her head in the halter and came with me. Wild Heart wanted to come in but didn’t want to be haltered. She struggled with this. I gave her time to think about it. I let her go and return to me. I followed and also gave her space- she showed me an old shoe and pad of Khaleesi’s I hadn’t been able to find from almost a year ago! At one point I invited her in and she followed me around the pasture and to the gate as if on lead exactly with me. I want to go with you but I am struggling with the halter today. There I let her know to leave the field I still needed the halter for now. She lowered her head into her new green rope halter and came into the barn. Winter is a nice season for me to be more quiet and to learn to let go of the things I think I need to be doing- the things I’ve learned everywhere else are what I should be doing, and start paying more attention to what my horse are saying. When I am able to do that- it’s crazy fun to be with them! I adore them and they are funny and beautiful and I learn a lot from them. So maybe what I’m getting from all this- in the layer I’m currently sitting through…. learning to listen. And learning to understand- not what I think it should mean from my perspective but what it really means from theirs. It is a way of looking at everything as significant, not to assume anything is random or accidental. In a world we learn to tune out so much around us this has been hard for me to do, but the more I change this thinking in me the more fun even the day to day world is. Seeing the purpose all around me. Previous: Previous post: The knife. I love wintertime for strengthening the bond I have with my boys. It’s a calm time, a peaceful time to connect and enjoy our days together without the “stress” of competition season. I’ve been learning how to carry this feeling of serenity over to the busier times of year and it makes such a huge difference in our outlook and how we treat each other. Taking the time to say hello, to give the scratches and hugs and to LISTEN to what my boys want to tell or show me has created a priceless relationship. Our time with these magnificent creatures is so precious – it’s a gift to be able to slow down and enjoy it. Rushing gets us nowhere fast! Happiest of holidays to you and those you love! Love this! No wonder K likes you so much!